The Cork manager spoke to TheScore.ie about his decision to commit for a further two years. CONOR COUNIHAN HAS revealed that he had to examine his ability as a manager before deciding to commit to another two-year term as Cork senior football manager. Counihan has opted to accept the invitation of the Cork county board to stay in the Rebels hotseat for the 2013 and 2014 seasons. But the Aghada native admitted that he had to deliberate in the wake of Cork’s All-Ireland semi-final defeat to Donegal before deciding to remain in the position and that he had toyed with the idea of moving on having been in charge since 2008. “It is a huge commitment and if you’re not prepared to give it 100%, then you have no business being there. I had to give it time before deciding and I’d be conscious that I have been there for a while in the position. “You always challenge yourself to see can you bring the team forward. You need to look at yourself first and your ability to manage and it’s important to decide what’s best for the team. Counihan will be working with a new back room team in 2013 after it was confirmed that Ger O’Sullivan, Terry O’Neill and Jim Nolan would be stepping down from their positions with Peadar Healy remaining on in his role. Counihan praised the contribution of the three departing selectors and revealed that he will be patient before deciding on who to replace them with. “All of them have worked with other management teams previously and the time and commitment they have given to Cork football has been phenomenal. They are people of the very highest calibre and I am deeply indebted to them. “The pure commitment of this is huge, there is a major travelling element to it and they have very serious work commitments. I think it is understandable they have decided to step aside. Tyrone boss Mickey Harte last week pinpointed Donegal’s level of commitment as to what set them apart from other teams and Counihan agrees that is the standard of the All-Ireland champions is something Cork must strive to match. “Donegal are rightfully All-Ireland champions. I think most teams have a huge level of commitment but Donegal must be pushing it a bit more to get to the level they are at. They are doing something different to create the freshness and hunger that has got them to that stage. There will be speculation over the future intentions of long-serving Cork players like Alan Quirke and Nicholas Murphy while another challenge is that both Aidan Walsh (DCU) and Mark Collins (DIT) are now based in Dublin for their third-level studies. “I haven’t discussed anything with the players collectively or individually yet,” stated Counihan. “It’s something that I’ll be looking into now that I’ve committed to stayin on. As regards the guys based outside of Cork, it’s something we just have to deal with. Email “Conor Counihan: 'You always challenge yourself to see can you bring the team forward'”. 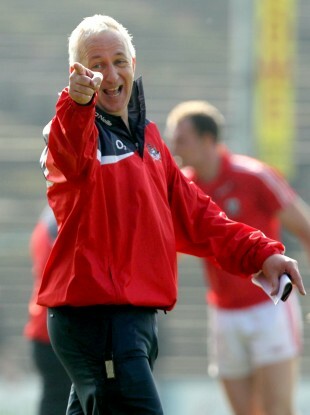 Feedback on “Conor Counihan: 'You always challenge yourself to see can you bring the team forward'”.